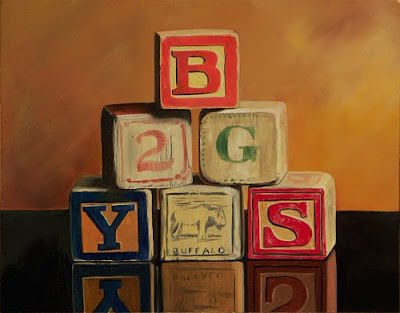 Here is another painting featuring the great old blocks I found at a garage sale. They were very well worn and full of character. 8x10 oil painting on hardboard.